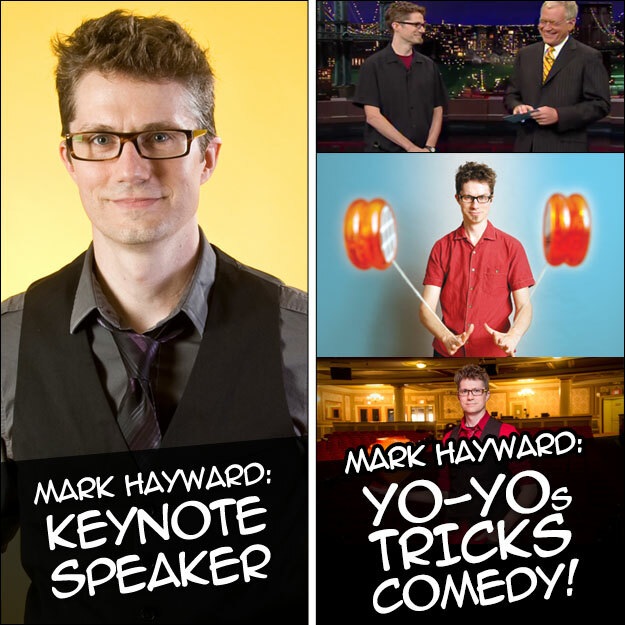 Mark Hayward: Speaker, Yo-Yoer, Cool Guy! Keynote Speaker: Highly regarded and critically acclaimed Comedy Entertainer and Speaker. Comedy Show: World-class entertainer for Family Audiences, Corporate Events, College Campuses, and as an Emcee & Host at events around the globe.